Donald Bowser, is a Canadian national who has been working in the anti-corruption field for the last 20 years (since 1998) when he joined Transparency International as its first Program Officer for the former Soviet Union. Since leaving TI in 2001, Mr. Bowser has been providing policy advice on anti-corruption around the globe, mostly in the former Soviet Union and Asia but also in Africa. This has included assignments as the Prevention Advisor of the Sierra Leonean Anti-Corruption Commission, Chief Technical Advisor on Anti-Corruption for the UN in Tajikistan, as well as Team Leader for the development of National Anti-Corruption Strategies in Armenia and Bangladesh for multi-lateral development banks. He has also been Chief of Party for a USAID anti-corruption project in Cambodia (2009); Capacity Building Advisor for the Afghan Anti-Corruption Agency – the High Office of Oversight (2010); Senior Advisor to the Macedonian Anti-Corruption Commission (2011) and for the Afghanistan Independent Monitoring and Evaluation Committee in 2012. In 2013 he served as Team Leader and corruption investigation expert for the multi-donor funded Key Accountability Institutions (Anti-Corruption Commission, Auditor General and National Legislature) in South Sudan. 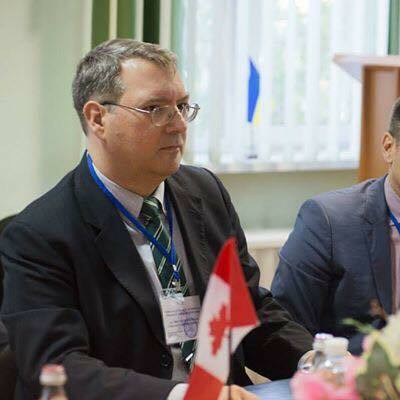 From later part of 2014 he has been in Ukraine serving first as international advisor to the National Anti-corruption Bureau of Ukraine (NABU) for the Global Affairs Canada then as Senior Anti-corruption Advisor to UNDP focusing on eastern Ukraine. He currently serves as an Advisor to the President of the Administrative Control and transparency Authority of Qatar.